Today's selection have been chosen for the website as well as for ebay. 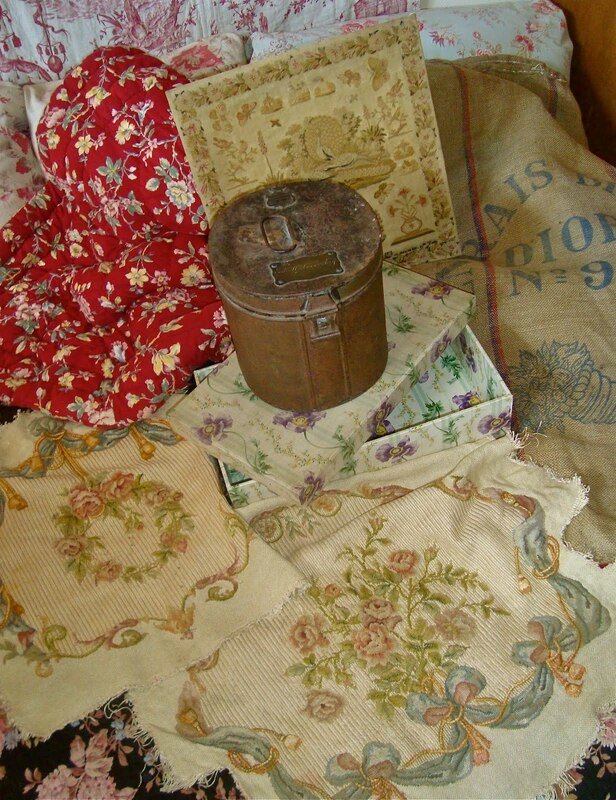 There is a lovely 19th century flowery French boutis, a tiny military hat tin, a gorgeous poppy design chintz-covered box and an interesting French hemp sack for the website, and among other things a wonderful 1834 sampler, 2 beautiful embroidered French chair covers c1800 and whatever else I can rustle up between now and tomorrow evening. Decisions, decisions! All should be listed by the end of Thursday evening. I always come to your blog to see them. taken from you, I hope 's meet.